While this Eastern European country might not be high on your radar unless you’re a Game of Thrones fan, it’s time to consider this bright blue jewel in the Adriatic Sea. For experienced travelers who have scaled the continents and scoured the hidden destinations, a Croatia honeymoon is a must. For honeymooners, you’ll reap the same beachy, jaw-dropping ocean views that you’d find in Greece, but for a fraction of the price. What’s impressive - and surprising - about Croatia is that it features more than a thousand islands, even if only less than 20 are actually inhabitable for tourism. From caught-that-day seafood to inexpensive aquatic tours (including the option to Uber a speed boat for a day), you can fill your first newlywed trip with adventure, Instagram-worthy sunsets and plenty of highly-rated culinary feats. 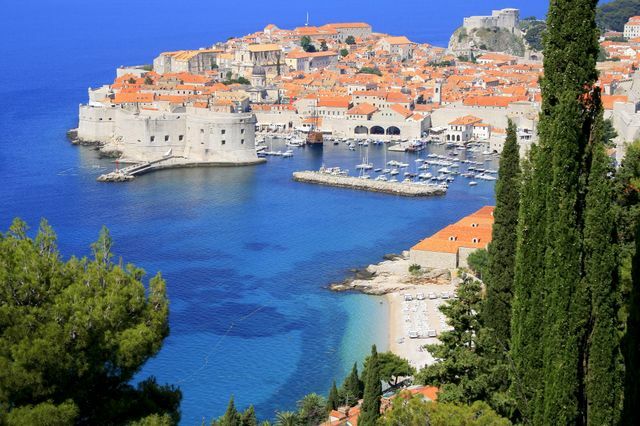 Here, a guide to your Croatia honeymoon. Truth be told, it’s rather remarkably beautiful year-round in Croatia. Considering most of the top spots to tour are on the coast under the warmth of the European sun, you’ll be greeted with mild, comfortable and just-about-perfect temperatures no matter when you venture. Even so, there are a few months where you might have a less than stellar time. In July and August, you can expect humidity and heat to raise to the 80s and 90s - with some days even in the 100s! Though the Adriatic will provide some relief, when you’re touring around town or eating dinner, you might find you and your number one sweating bullets. It’s also not recommended to visit during the holidays - December and January - as most of the city centers in Split or Dubrovnik will temporarily shut down their tourists centers, shops and restaurants to observe the family-centric time of year. The best months, if you can swing it are May, June, September and October. While they’ll be busy and tourist packed, this is when you’ll feel the most at ease, no matter if you’re bar - or island - hopping! On the Dalmatia Coast, you’ll find this town that feels quaint but is actually the second-largest city in the country, only second to the industrial capital. This is a common starting point for Croatia honeymoons, with plenty of direct flights from the East Coast, and easy access to the port where a boat can take you to the islands. Here, you can stay by the pebble beach and float in this high-acidic waters as you count the myriad of stars above. During the day, wander through the winding alleys of Old Town and climb to the top of the bell tower at Diocletian’s tower, which was created by a Roman emperor in the fourth century. You’ll love the beauty of the stone walls, the smattering of small cafes and restaurants, and the pretty views of the sea. 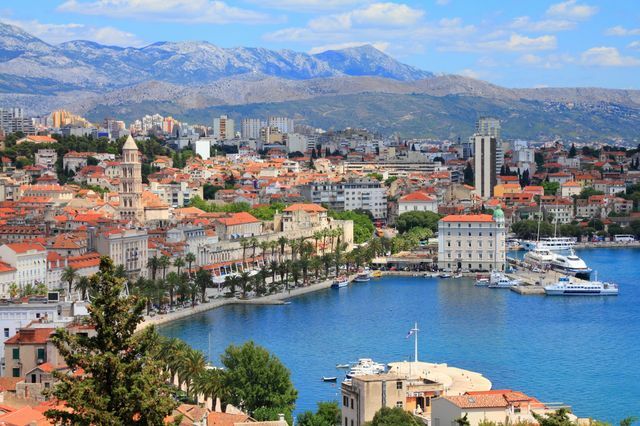 Just an inexpensive two-hour ferry away from Split, this Southern city is a must-see for GOT fans - and those who want a slightly more upscale beach experience. Here, honeymooners can tour through the beautiful Old Town that’s far more preserved than Split. You can walk along the walls that encircle the city, tour through the St. Blaise Church, the Renaissance Sponza Palace, the Gothic Rector’s Palace and take a cable car up to the top of a nearby mountain that offers sprawling views of the city below. Definitely pricier than other spots in Croatia, splurge on a multi-star hotel where you can directly access the ocean and cheers to your new marriage with fancy cocktails. At night, count your blessings - and your level of booze! - as you stroll through the Stradun, a pedestrian walkway that’s covered with bars, restaurants and shops. For the couple who enjoys a killer party - even on their honeymoon - take a boat ride to Hvar. It’s best known as a prime spot for party-goers, with the multi-level, sprawling resort sitting near the port. When you’re not dancing until dawn, you can tour through a much smaller main square, scale a Renaissance-era cathedral. You can also rent a car service to see lavender fields or hire a boat to more private beaches, sans crowds. Not too far from Split along the Dalmatian Coast, this city sits amongst a peninsula and offers a remarkable landscape that’s sure to make you upgrade your Instagram story. You’ll find Venetian gates, city walls and plenty of historical landmarks including a cathedral, a convent and more. Thanks to its location, you can spend your afternoons soaking up the past, while spending the evenings romancing about your future by the sea. Considering it’s more off the grid than other islands and cities, you won’t find as many tourists and you’ll be able to savor the feeling of just-the-two-of-us, that much more. Anyone been to Croatia or planning to go for their honeymoon? FH and I are set on going in June next year for ours. Any feedback, or things to be aware of?!? !